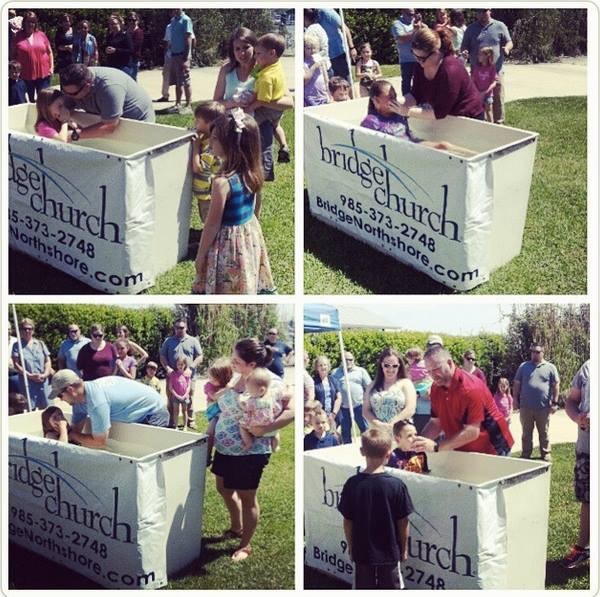 This past Sunday at our church, we were blessed to witness the baptism of four new believers. Baptisms marks a new beginning in a persons life with God. A personal declaration is being made that as Jesus died, was buried, & was resurrected by the power of God; God has done that work in my heart as well. I’m now dead to my old way, my sins are buried with Christ, & I’m raised to walk a new way (Romans 6:3-4). Every believer will have this testimony. And it also marks the beginning of God’s work of sanctification in a person’s heart & life. A work that he promises to finish. 1. We’re RESTORED. The word means mended, as in fishing nets that are tattered & torn. It can also mean equipped or put in order, or fully trained. So the image is of something that was rendered ineffective due to sin, is now being made useful, because of God’s personal work. 2. We’re ESTABLISHED. The word means made to stand. It’s used in terms of planting a plant deep enough that it cannot or will not fall over or vacillate. It also has to do with inner determination. Part of the work of God is to plant in us a determination to get back up, when we fall & we will. 3. We’re STRENGTHENED. This word has to do with mobility. God give us the ability to go farther, faster, & longer than we could before. It has to do with effectiveness & purpose. In Christ, we’re going somewhere, for some reason. For his glory & the good of others. And we’re now backed by his power. God’s strength is like a wind in our sails. 4. We’re SUPPORTED. Meaning we’ve been given a strong foundation, that cannot be quickly washed away. This is the same word Jesus used in his story of the Two Foundations in Matthew 7:24-27. A foundation on the sand gets washed away by wind & storms. A foundation on the rock withstands wind & storms. And it’s knowledge of & obedience to God’s word that gives us this support. Of course, Peter is giving a personal testimony of what God did in his own life. He was tattered by sin & by failure as a follower of Christ. He fell asleep is Jesus’ hour of greatest need, he reacted in anger & tried to murder a man when Jesus was arrested, & he denied he even knew Jesus as he was facing an unjust trial. He needed mending. He needed to be firmly planted. He needed to be strengthened for a purpose. He needed a foundation that wouldn’t quickly wash away when tested. And these are the things that God gave him, shaping him from a failed follower to the leader of the early Christian movement. What is your personal testimony? What is the work that God has done in you? Have you allowed God to get personal in your life? Can you say you’re restored, established, strengthened & supported by God? Hopefully you can give a testimony of God’s work. I’ve written mine down on a site called WhatIValueMost.com. Read my story & write your own here: http://whativaluemost.com/Testimony.aspx. Posted on April 21, 2015, in Bridge Church and tagged Discipleship, Testimony. Bookmark the permalink. 1 Comment.